Cache Me if You Can is an interesting film to try and review. Cache Me if You Can was conceived as a horror film and is executed as such, but the horror is by design not present in the early parts of the film or even truly built to until the very end. Mother is a short film from Sick Chick Flicks that is currently doing the film festivals and convention circuit. The film is directed and produced by Christine Parker and based on a story by Amber Teachey. Amber Teachey is also one of the two leads in the film. The basic storyline of the film is stripped down and lean. It’s also, to some degree, familiar territory. The film centers around the relationship, or some might say lack thereof, between a teenage girl (Teachey) and her mother (Catherine Mattson). What relationship we do see on film is one of a highly destructive nature. 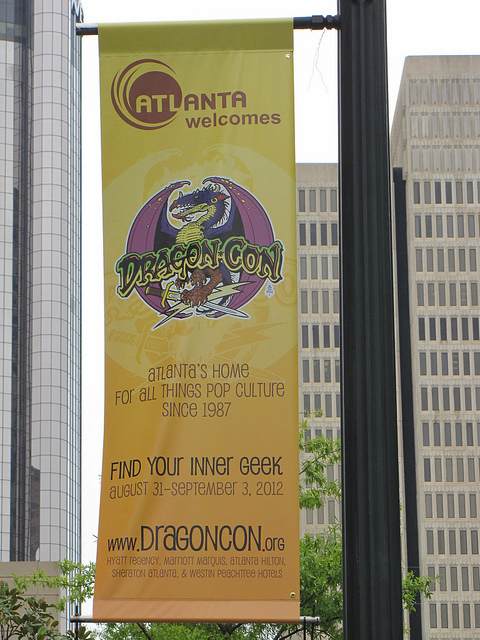 The Dragon*Con Boycott Part 6 – Situationally Exclusive Reasoning. I’m starting to run into an interesting argument in various places. Some people resort to it when you knock the legs out from under their inaccurate statements on a specific topic with facts. Others acknowledge knowing the facts and then put this argument forward as though it’s supposed to make sense to anyone not wearing the anti-Dragon*Con blinders when looking at the argument being made. The argument is that Dragon*Con’s present owners are telling lies and trying to hide the fact that Kramer still holds shares in the company. You have to love the comments a blog attracts. I mean, the Dragon*Con posts have gotten me some hilarious posts that I’ve refused to approve and simply deleted because they were little more than a string of profanities. Oh, quick side note to the idiots like that – When you make certain statements on a blog, you can certainly create a fake email address to enter that will fool some systems. You should keep in mind this one fact though. 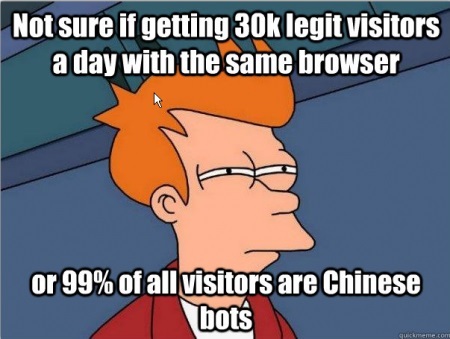 As the blog admin, I get IP Addresses as well. You might rethink some of the statements. I love spam. Some of this stuff is practically a demented art form at this point. I have no idea why, but I love this last one. I just think it’s hilarious. I mean, that’s practically spambot poetry at this point. It may even be better than some of the stuff I had to read back in school. There’s a common theme one can see in the comment sections of many forums where various genre “news” sites report on the call for a Dragon*Con boycott and the claims made by the people pushing for the boycott and on the various blogs that simply repeat the coverage of the boycotters’ claims. It’s one of absolute shock and disbelief that Dragon*Con has been funding Kramer’s legal fight to the tune of $150,000 a year and thus allowing him avoid jail for going on 13 years now as well as traveling around the country and securing himself future victims. Maybe they should realize that it seems so unbelievable because it’s not exactly true. Back when all of this stupidity first started, Nancy A. Collins acted like a damned fool. Some might argue that she’s still acting like a damned fool. Either way though, it is her right to act like a damned fool. Likewise, it’s the right of anyone who supports her to act thusly. Yeah, their rights to act like damned fools end at certain points like sending harassing and insulting PMs to people or filing bogus take down notices against blogs to harass people that don’t tow the boycott line, but they do at least have the right to act like damned fools up to that point. Which brings me to the problem I have with some who are anti-boycott.